It was a rush hour at home this morning with the third Term starting today for the kids. Peddu went to bed saying he won't go to school and Chinnu woke up saying he won't be naughty and hence will stay back at home. Ten days is awfully long period to get used to being at home. I bribed Chinnu with a treat of Chocolate Cookies that I made for them. Surprising Peddu woke up all ready for the school. After packing them off, it was my turn to rush up. Finally when I thought I should post my first one for the new year, I was in a dilemma on which one to post. So let me begin with a Sweet one. 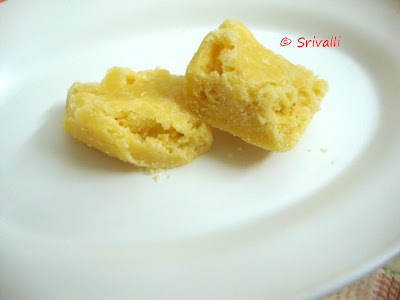 Mysore Pak as you might remember was prepared for Deepavali, which I never came around to post. It has been in draft for so long. Thought it will be a great way to start the year. Before that, as I always do, lets talk about what new things to do this year. What are your plans? Reading about my own post that I did last year, I can only shake with utter disbelief that I have not done even one of the items I have mentioned. That just went to show how truly things have been unplanned. So though I probe you to share your plans, I think I will take one day as it comes. Looks like having lofty plans won't work out right now. 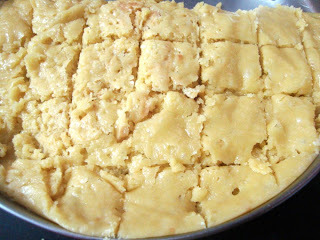 Mysore Pak was prepared during Deepavali and I was keen on making it with Amma. 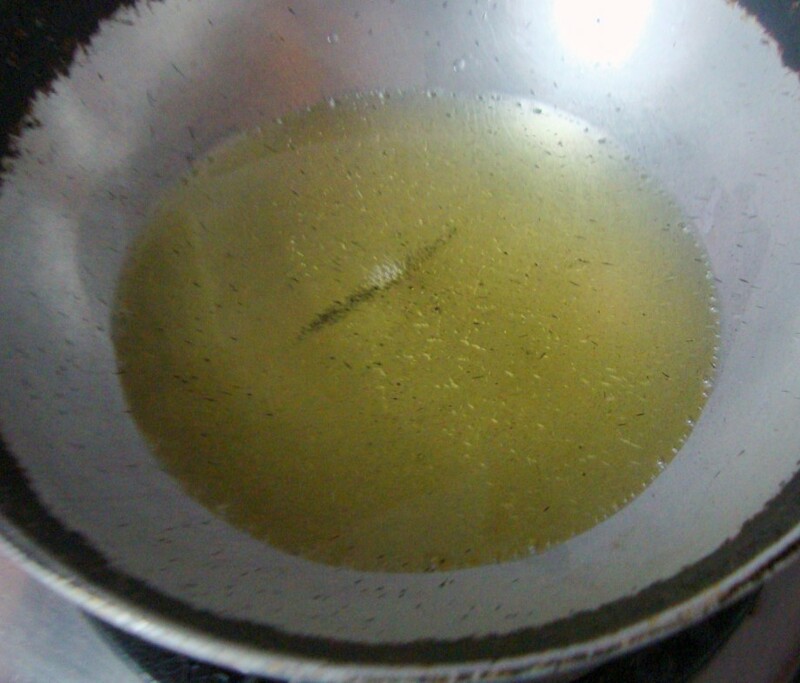 It is a recipe from her notebook, so I thought it is done with her. 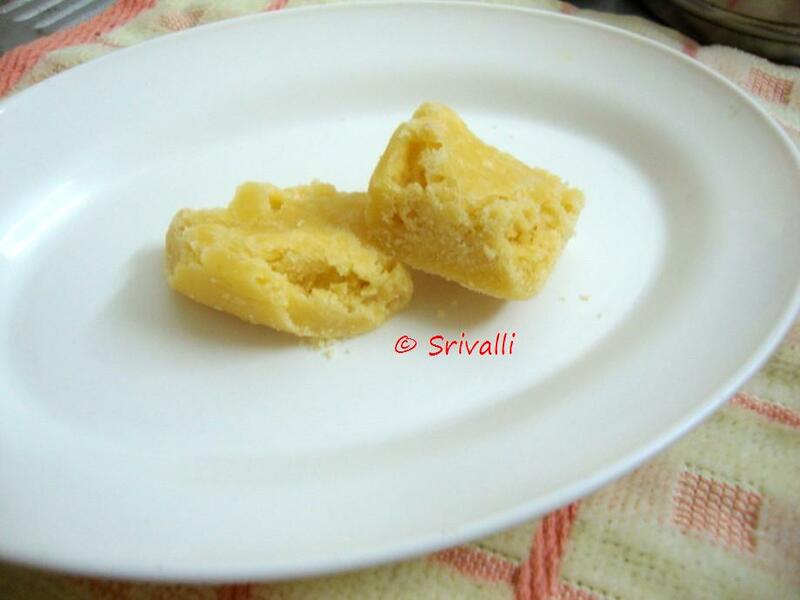 Hubby dear likes that typical honey comb types of Mysore Pak and not this melt in the mouth types, though the latter one is more sought after. 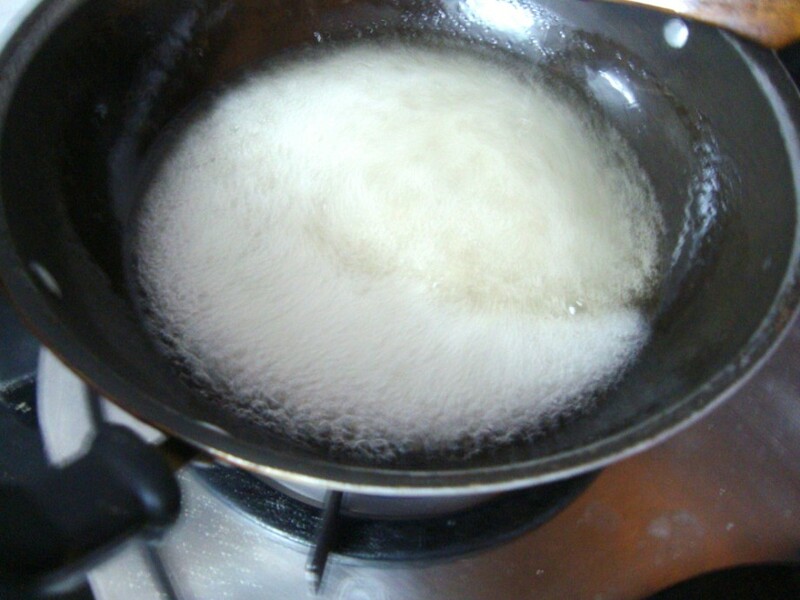 Melt the sugar in a non stick pan with just enough water to cover. Remove impurities if any and continue cooking till 1 thread. 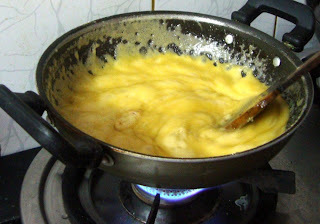 Heat the ghee in another pan and simmer it. When the sugar starts frothing, keep stirring. 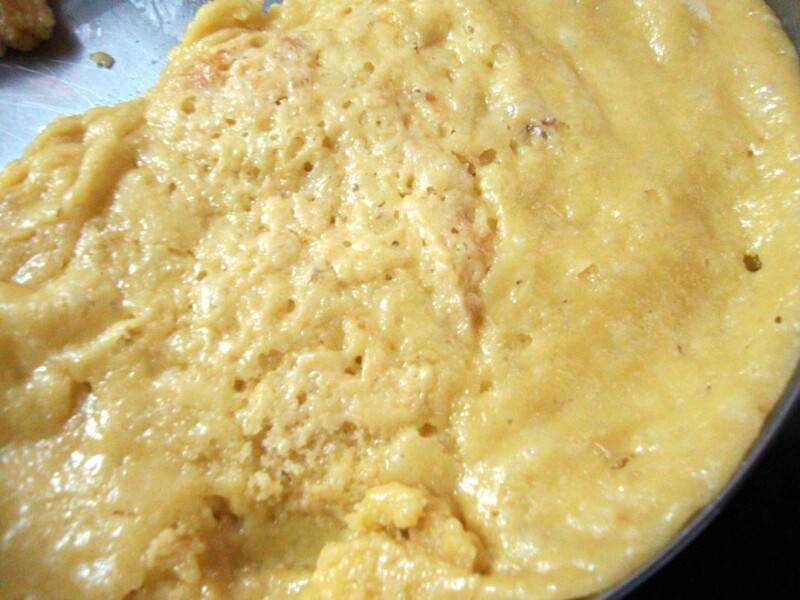 Slowly add the besan and quickly combine to ensure lumps are not formed. Continue doing till all the flour is done. 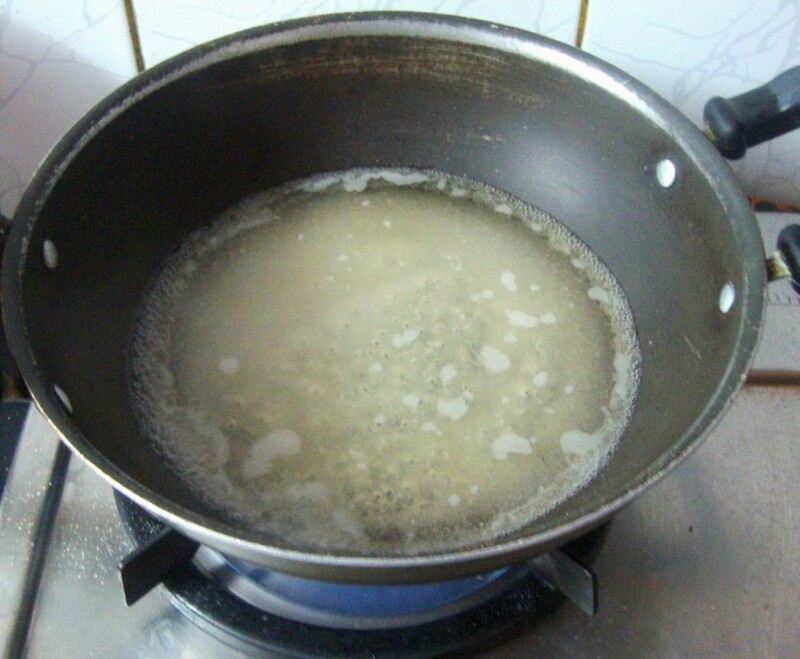 When it starts leaving the sides, the pak is ready to be removed. Transfer it to a greased plate and allow it to cool. After 10 mins, make marks on the top and cut them into pieces once it is completely cooled. 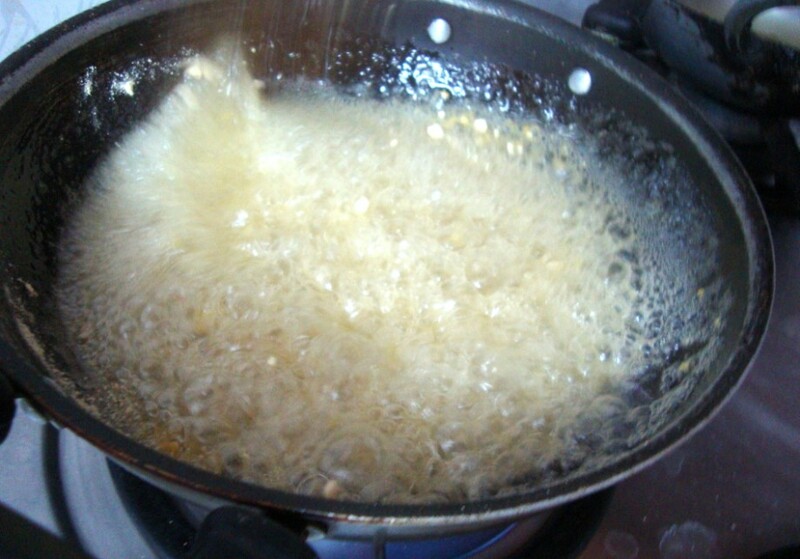 Heat a pan with ghee, simmer it down. In another non stick pan, roast the besan on low flame. 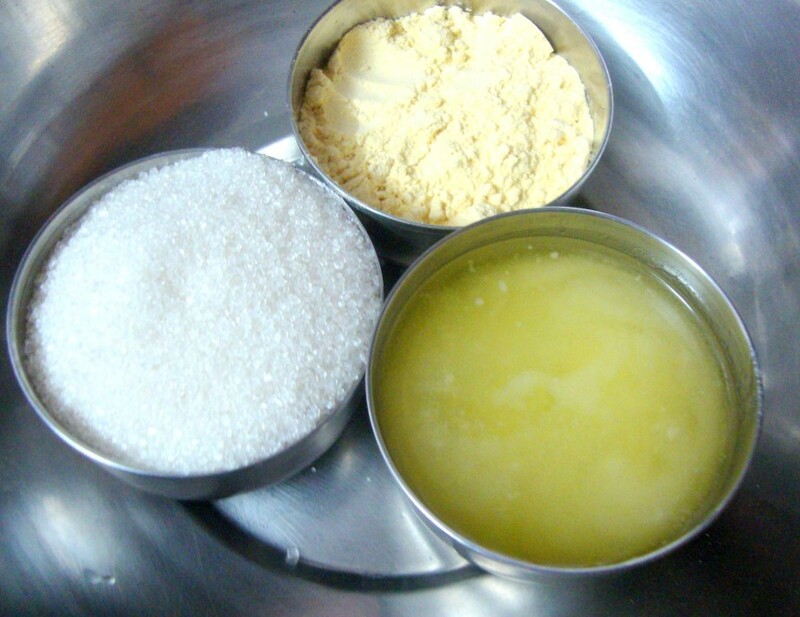 Melt the sugar by adding just enough water to cover and remove the impurities. 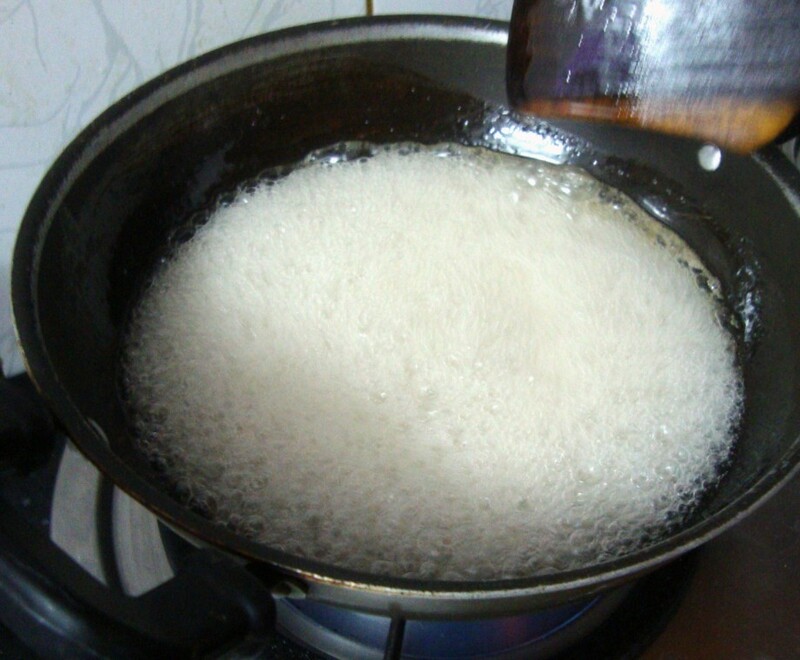 Continue boiling it for couple of more minutes. Soon you will have a one thread consistency. 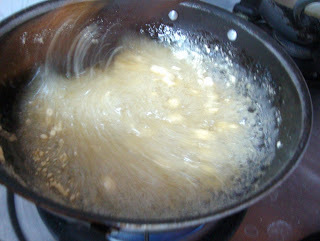 Add the besan to the sugar syrup and mix everything together. 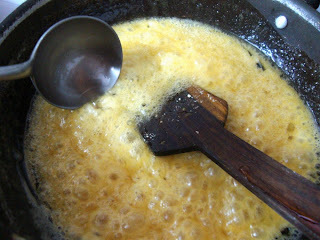 Then slowly add the ghee little by little. Grease a plate or a square tin ready with ghee. When you are done with all the ghee, continue stirring briskly for another couple of minutes when you see the batter leaving the sides, it means the paak is done. Immediately pour it on the greased plate. Wait for 10 minutes, before making marks on the top. Allow it to cool completely before breaking it. Hope you all had a great start!